This is a fanedit of The Hobbit: The Desolation of Smaug that loses all of the "Lord of the Rings" prequel-itis, removes the silly parts and has a different ending than the original. I was inspired by Kerr's Arkenstone Edition and wanted The Hobbit: The Desolation of Smaug to work as a sequel to An Unexpected Journey, not a prequel to The Lord of the Rings. Also there were some parts that I simply couldn't stand, and thus, I made this fanedit. CommandBen for slight color correction to get rid of the green tint, plus for all of his help and support on this project to make it the best looking and sounding edit possible. I used Adobe Premiere Pro CC 2014 to edit this fanedit. -Added some of the Misty Mountains theme throughout the movie. -Cut Bilbo being tempted by the Ring at midnight. -Cut Bilbo being tempted by the Ring outside the forest. -Cut Bilbo almost telling Gandalf about the Ring. -Cut Bilbo almost losing the Ring and killing a baby spider for it. This isn't Lord of the Rings (yet). -Cut Orcs sneaking past the Woodland Realm to make their appearance in Barrels Out of Bond a surprise. -Cut Thrain's ridiculous Wilhelm Scream. -Cut the eye of Sauron when Bilbo takes off the Ring in Erebor. Now we wonder why Bilbo is affected by the Ring at that moment. In the original, it ruins the surprise that the Ring is Sauron's One Ring in LOTR when watched chronologically. -Cut Smaug saying that the darkness is coming. How does he know that? -Cut forges fight. This was the Hobbit equivalent of the Droid Factory from Attack of the Clones in case of silliness. No dwarf enters the mountain except Thorin after Smaug leaves the Mountain in order to tease Thorin' madness for the next movie. -To make the previous two cuts work I had to rearrange some scenes. -Added Smaug's rampage over Laketown (and his inevitable death) to this movie. I liked the cliffhanger but because I cut the Erebor fight, the movie needed more of Smaug's badassness. -Moved Gandalf seeing the Dol Guldur Orc army leaving for the mountain to the very end of the movie for a tease for the next movie. First things first English is second language to me so bear with me. This edit flows very well as a sequel to Kerr's Arkenstone Edit. The core of this edit has stayed somewhat the same as the Vanilla version. This edit is not a cut fest so if your looking for a bigger trimmed down version this is not for you. Small changes that include Bilbo's temptation have been removed completely. It makes for far better narrative and the story isn't focused on the ring and how evil it is. In my opinion its too soon to tease the connection between Sauron and the ring. Its makes watching it chronologically so much better. Now it just seems Bilbo found something spectacular and become an even better burglar. The scene where he almost says to Gandalf that he found the ring is awkward as hell and i'm glad it was cut. Cutting out the orc sneaking is a very nice touch and makes the surprise work so much better. The biggest changes come at the end. The dragon gold covering segment is now gone (it wasn't in the book so why make something this silly up?) so is all of the hall roaming. Now it stays more true to the book which i like. I like the scene where dwares see there kin dead and will find some courage to stand up to Smaug, but not sure though how it would work with this edit maybe add it to the last movie? Anyway i did like the cliffhanger tease they went with but i like this version a lot better. 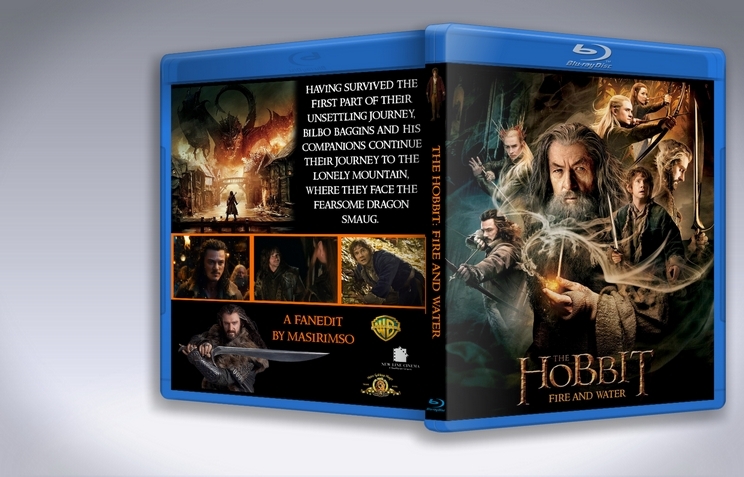 Masirimso17 has masterfully added the Lake Town fight from the last movie to finalize the downfall of Smaug and complete that story ark. One thing that i didn't like that much was the music playing in the background when Smaug fly's to Lake Town. It was very quiet and felt weak. If you could somehow use the ending of DOS when he fly's off which was very powerful and transition it to your edit somehow. Smaug's a predator and since predators hunt there food in stealth and make as little noise as possible it would be great to only just here the wind and maybe slowly build up the tension with music. If the tension were built slower it would make that segment that much powerful, just a thought. Ending was very well done and is a nice tease to the next. Overall i very much enjoyed this edit it made some small changes bur very effective ones and the last part was done masterfully so thank you and commandben for making good movie even better. Like those before me I think this edit works beautifully as a spiritual successor to Kerr's AUJ Arkenstone Edition. Your restoration of the Battle of Laketown as the ending allows the narratives of this film to reach their appropriate end points before going into the next film, and the entire scene is vastly more enjoyable coming off the heels of what preceded it. I know many people who felt muddled and confused going into BOTFA after a year without sparing DOS a thought and being expected to carry every narrative detail and emotion they felt from DOS into the next one. As for the forges scene being gone - thank heavens. After all the excitement and tense build up to Smaug's attack on Laketown we were denied that and instead we got an overlong, video-gamey fight that only served to delay the inevitable. The matter can now be set at peace. I thoroughly enjoyed the entirety of the film. Many of the EE scenes such as those which add detail to Gandalf's motives for initiating the quest, or the inclusion of Thrain greatly enhance the narrative, and other audience members I've seen it with felt things were much clearer for their inclusion. That said, considering the length of the EE and the inclusion of the Battle of Laketown I think the film could use some further trimming for pacing. And the best way I think to do that would be to remove the EE Dwarves introduction to Beorn, any extension of getting lost in Mirkwood, and to remove all scenes of The Master and Alfrid before the one where they meet Thorin and the dwarves at night. All of these elements may enhance world-building and be nice for book purists, but they don't quite worked in the more adult, focused narrative I imagine edits like this would like to create. All around though, a stellar start to making this film even better than the great film I always felt it was. Like Kerr's arkenstone edition of "An unexpected journey", this edit attempts to improve on the narrative of "Desolation of Smaug" without losing most sub-plots presented in the original movie. 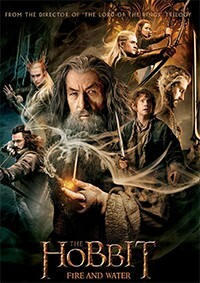 I must admit: "Desolation of Smaug" was the movie I had most fun with out of the Peter Jackson's Hobbit trilogy. But it had some serious flaws. One of them is definitely the forges fight, which I'm happy was cut from this edit - the Smaug scenes were masterfully handled. I like it that we get to see Smaug's death in this movie. The Thorin-Bilbo encounter in Erebor was effective and serves as a great tease for Thorin's sickness in the next film. Ending the movie with the Orc army was brilliant and a much better cliffhanger than the original. Whoever handles editing the third movie as a sequel to this edit should start with the Dol Guldur fight sequence - that will serve as a great opening for a movie. Now, I want to address the Kili-Tauriel scenes: For the most part, I like those scenes. It doesn't feel like a love story. Rather, it feels to me like they establish a friendship. That is up until that weird speech Kili gives after Tauriel heals him, which I believe should have been cut. It becomes really awkward then. There are some sequences that I'm conflicted about. One of which is the barrel ride fight sequence. I like the fact that we see Orcs attack the company while they escape the Elves. By the way, the surprise attack was a great cut. It was a fun fast-paced action sequence, but the over the top (and I must say hilarious) Bombur barrel jumps and the funny Legolas jumping on Dwarves' heads took away from the tension and made it laughable. I wish some small cuts were made to make it less silly. However, out of all CGI-fest video game like moments in this trilogy, this is the one I'll give a pass. It was fun. Another thing I'm conflicted about being the "Lord of silver fountains" prophecy. Do we really need it here?! Especially, when it foreshadows Smaug's imminent attack on lake town. I'd rather the attack be sort of a surprise. Anyway, it's not a big deal but I think it could have been cut. Speaking of lake town, I don't really like the political sub-plot going on there. The scene between Alfrid and the master of lake town is gross and establishes a personal antagonism between the master and Bard, which then leads to the stupid scene of Dwarves entering Bard's house through the toilet. I don't like it that Bard is forcefully being a big deal. It'd be better to see him is a regular good guy, who happens to be skilled with a bow, which allows him to kill a dragon and makes him a hero people can look up to and have hope. Also. I think the scene where Bard being arrested should cut straight at him being in prison cell (with some scenes in between) and not have a chase scene just so he would be knocked out by the master himself. And I don't want to say much about Bard's escape scene - once again: a funny, silly moment that takes away from the tension of the moment. As for Alfrid, please, whoever edits the third movie: cut him out completely. I like to think Alfrid died burning in dragon flames in this movie (wouldn't that be a nice scene to have?!). Every scene he's in in the third movie is awful and cringe worthy. EDIT: Had the chance to see color difference between this edit and the original and I have to say: the color correction in this edit is phenomenal. Awesome job! In conclusion, this is the best edit of "Desolation of Smaug" I've seen to date. Masirimso17 did a very good job here. Without a doubt, an improvement over the original movie. At last I've seen this edit Masirimso17 =)) I tend to like the 2nd part of almost every trilogy, the Desolation of Smaug was one of those negative exceptions. I liked your edit but I think Hobbit: Into the Fire is more accurate in some ways. I did like the fact that you removed Bilbo's being tempted by the ring, incorporating the Dol Guldur extended scenes and Thráin II was cool and replacing the Wilhelm scream too, you rearranged far better Smaug's exit from the mountain and your ending was superb (very close to the book and in preparation for the great battle to come). What I do hate the most is that damned final music "I see fire" by Ed Sheeran, it doesn't fit with the rest the musics of the Saga (Jackson's fault of course), if it could be changed or mixed with something else it would be great. Thanks for the review, sistros. I actually quite like I See Fire, and it fits well with the film and the saga in my opinion. Though since I removed the forges fight, the line in the song "If this is to end in fire, then we shall all burn together" doesn't connect as well with the movie as in the official versions, but what are you gonna do? You could connect it with Smaug's attack to Laketown. I dunno. I am planning on doing a second version after the Extended Edition comes out to add new scenes from Smaug's attack on Laketown, and fix some edits at the end, specifically adding new sound effects while everyone notices Smaug is coming from the mountain, which were absent in the first version. Great job! I haven't seen The Desolation of Smaug for a while, so I actually couldn't remember what was cut and what was added at first. The movie worked great as a narrative and I really liked how the ending was re-edited. I felt that the whole dwarf-gold Smaug trick was too contrived in the original. I'm glad it was removed, and I also felt that the original cliffhanger ending wasn't a good way to end it. This edit tells the entire story arc of Smaug up to his death, and I think it works very well. In summary, I recommend this edit. Great job, Masirimso17.